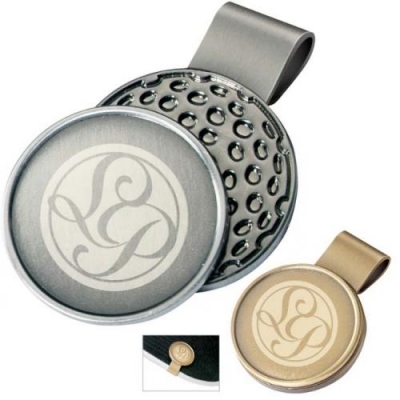 A highly visible and convenient ball marker and hat clip with your company Logo! Minimum order with your imprint, 72. Quantity variation +/- 5% is possible & billable. Why fumble in your pocket for your ball marker when you can keep it handy? You can clip this to your hat, belt or shirt. The powerful magnet keeps the ball marker where you need it, at your fingertips. Price Includes: laser engraving, 1 location.